Kuwait: Tamdeen Group – Kuwait’s leading mixed-use property developer – has reported 70 percent of the new Al Kout Mall’s retail spaces leased out of its total of 260 planned stores. 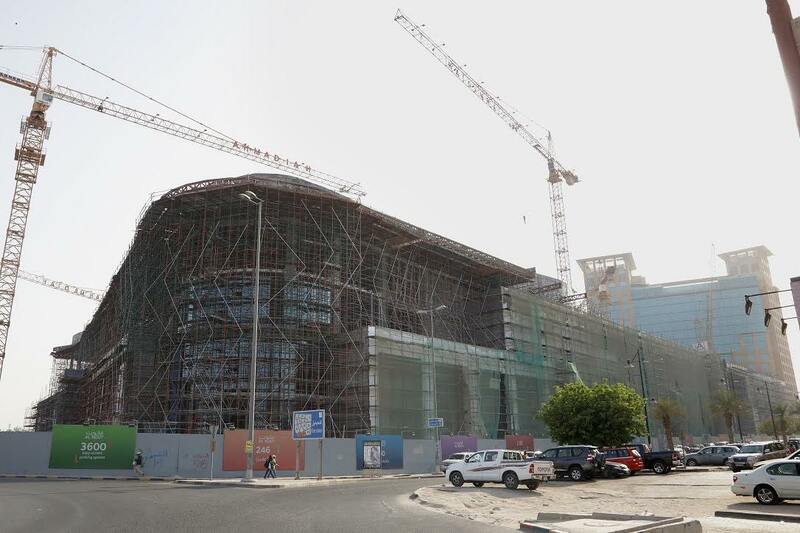 The developer has had an unprecedented and positive response to the new Al Kout Mall. Al KOUT is the largest waterfront landmark and lifestyle experience in Kuwait. Encompassing six different experiences, Al KOUT, when completed will become a destination of choice for residents and visitors alike. The new Al Kout Mall, combined with Souq Al Kout, significant for its traditional design, serves as the community hub of southern Kuwait with its stunning views of the marina and Nag’at Al Kout, the traditional fishing wharf where fishermen ply their trade. This unique blend of traditional and modern shopping is the centerpiece of 1.6 kms of beachfront which is part of the project. In addition, the award winning, 5-star Al Manshar Rotana Hotel has become the hotel of choice for business travelers. The immaculate beachfront of Sahel Al Kout offers uninterrupted views of the Arabian Gulf and blends seamlessly with the state-of-the-art luxurious yacht club, Marsa Al Kout, with its excellent marina facilities for over 150 boats. GLA Property Management is a professional retail real-estate firm and part of the Tamdeen Shopping Centers Company, a subsidiary of Tamdeen Real Estate, which belongs to Kuwait’s Tamdeen Group. It currently manages 150,000 sq.mtrs of space for the Tamdeen Shopping Centers Co. (K.S.C.C). Up to an additional 100,000 sq.mtrs of retail real estate is in the development pipeline. The company is known for its passion to build great places that deliver great experiences. Since the acquisition of Tamdeen Real Estate Company in 1996, Tamdeen Group has grown dynamically into the regional powerhouse that it is today. Through inspirational leadership and a visionary strategic focus the group now owns assets valued at over US$4 billion (KD 1200 million) with total combined paid up capital in excess of US$1.35 billion (KD 400 million). Consisting of Real Estate Development, Investment and Entertainment arms the group has consistently delivered growth for its partners and shareholders alike. The success of Tamdeen Group is defined by its continuous evolution, and outstanding track record of innovation in its offering. Several international awards and recognition have followed for innovative design, state-of-the-art architecture, outstanding marketing and pioneering use of technology.